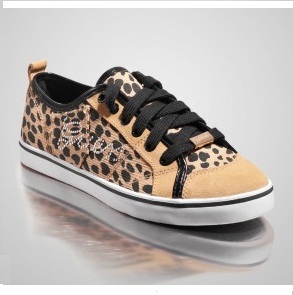 Rhinestones give off a sparkling effect to make this casual Cheetah print shoe shine. With the addition of glossy patent trim and suede details, they’re classic sneakers with luxe upgrades. • Low-top sneakers. Lace-up vamp. • Patch pocket. Rubber sole. Plaque at laces.